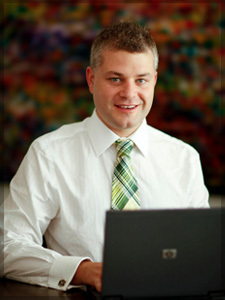 Dr Jeremy Banky | Dermatologist | Mohs Surgery Specialist | Melbourne | Fellow of the Australasian College of Dermatologists. Dr Jeremy Banky is a dermatologist and a Fellow of both the Australasian College of Dermatologists and the American College of Mohs Surgery . 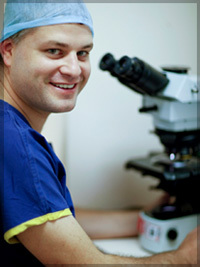 Dr Banky completed his medical training at Monash University, his internship and residency at The Alfred (Melbourne, Australia) and his dermatology training at The Oxford Radcliff Hospital (Oxford, United Kingdom), The Austin Repatriation Hospital (Heidelberg, Australia) and The Royal Melbourne Hospital (Melbourne, Australia). Dr Banky has completed extensive post graduate training in dermatology and Mohs Micrographic Surgery, including a Fellowship in Mohs Micrographic Surgery, Cosmetic and Laser Dermatology. Dr Banky’s special interests are in the management of skin cancer, acne and cosmetic and laser dermatology. Dr Banky also plays an active role in the teaching of Dermatology trainees and GPs. Dr Banky is married with three children and enjoys running, collecting art and travelling. “Paul Eddington Travelling Fellowship”, Skin and Cancer Foundation, Victoria, Australia; 2003. Banky J P, Dowling J P, Miles C. Idiopathic calciphylaxis. Australas. J. Dermatol. 2002; 43(3): 190-193. Banky J P, Ostergaard L, Spelman D. Chronic Relapsing Salmonella Osteomyelitis in an Immunocompetent Patient: Case Report and Literature Review. J. Infect. 2002; 44(1): 44-47. Banky J P, Sheridan A T, Storer E, Marshman G. Successful treatment of epidermolysis bullosa pruriginosa with topical tacrolimus. Arch. Dermatol. 2004; 140: 794-796. Banky J P, Sheridan A T, Dawber R P R. Trichoteiromania. Australas. J. Dermatol. 2004; 45: 186-188. Banky J P, Turner R J, Hollowood K. Multiple scrotal epidermolytic acanthomas; secondary to trauma? Clin. Exp. Dermatol. 2004; 29: 489-491. Banky J P, Kelly J W, English D R, Yeatman J M, Dowling J P. Incidence of new and changed nevi and melanomas detected using baseline images and dermoscopy in patients at high risk for melanoma. Arch. Dermatol. 2005; 141: 998-1006.